NMCAN celebrated the passage of the Support for Transferring Students Law in New Mexico (SB 213/HB 301), which was signed by Governor Susana Martinez on April 6, 2017. The law was created because students who experience the child welfare system, juvenile justice system, and/or homelessness are often forced to change schools for reasons beyond their control. When this happens, they typically lose credit for work they did in previous school districts, and each district has unique graduation requirements. As a result, many students are not able to graduate on time and therefore leave school. Young people played a critical role in the development and passage of the Support for Transferring Students Law. During the 2017 New Mexico Legislative Session, they met with numerous legislators and staffers to discuss the importance of the bills and voiced their personal support at committee meetings. Thank you to the leadership of Rochelle Alvarado, Krystal Goolsby, Placy Lucero, Marco Martinez, Alyssa Otero, Palmira Ramirez, Andrew Salazar, and Marissa Vigil. NMCAN also recognizes Governor Susana Martinez for her support and bill sponsors Representatives Doreen Y. Gallegos and Gail Chasey and Senator Gay G. Kernan for their leadership during the 2017 Legislative Session. 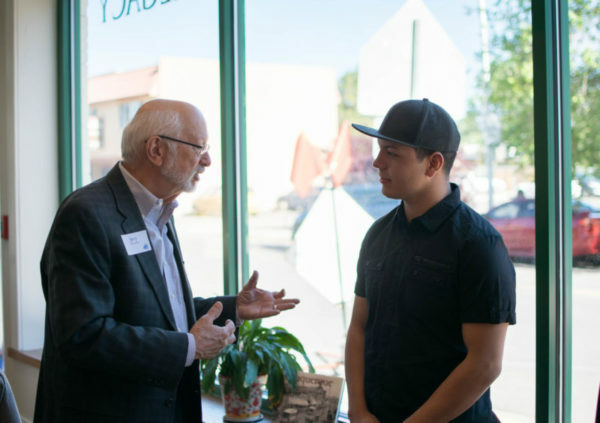 We appreciate community partner FosterEd New Mexico as well as the entire NMCAN community for contacting their representatives about the Support for Transferring Students Law. Learn more about the bill and additional legislation to support young people here.